Native, yearlong-green, perennial, tufted and branching herb, 5-50 cm tall. Leaves are oblanceolate to obovate and usually 5-30 mm long; becoming linear up the stem. 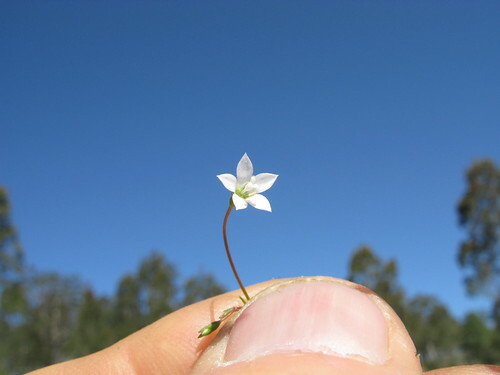 Flowers are small (5 mm long), with 5 blue, bell-shaped petals. Fruits are cone-shaped. Flowering is throughout the year, but mostly spring to late autumn. Found in disturbed or low ground cover areas, such as native and naturalised pastures, roadsides, parks and gardens. Found on a range of soil types, but particularly light loam and sandy soils. Native biodiversity. Is an insignificant source of feed for livestock as it produces small quantities of feed and usually forms a very minor component of pastures. No management information is available.